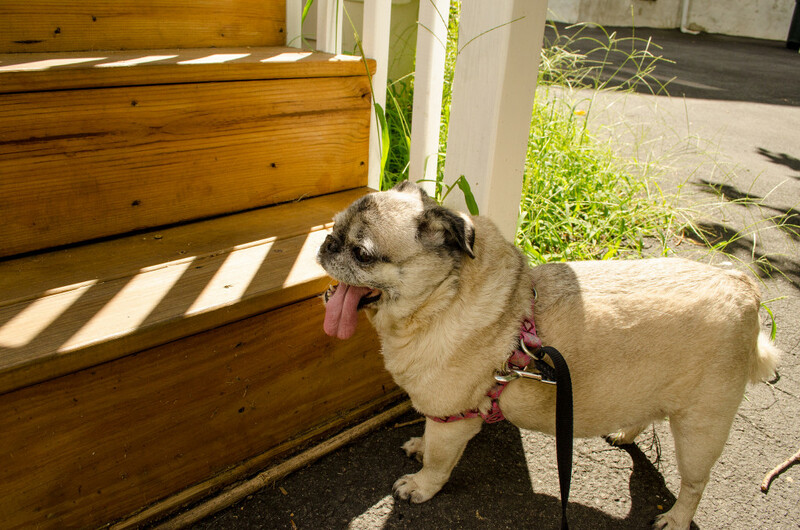 This adorable pug is just taking 5 before hopping up those stairs. 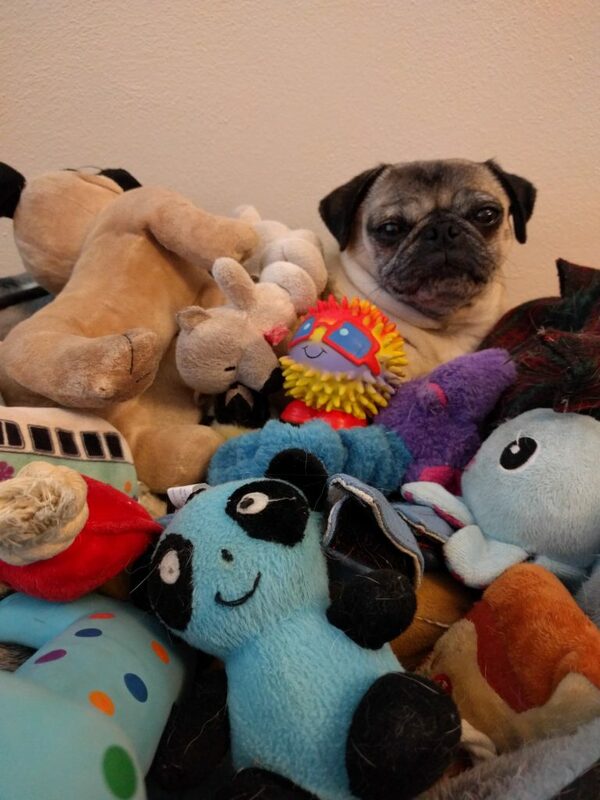 When it’s Sunday morning, and you just can’t decide which toy to play with first, then it’s time to get creative! This morning Nickie is having fun playing with all her toys at once.